A Place Called Home commits its resources to the young people and families of South Central Los Angeles and the community as a whole. Our holistic approach allows us to make a deep impact and provide a platform for the next generation to pursue healthy, productive lives. Growing up in a South Central ZIP code means facing great adversity and steep odds. 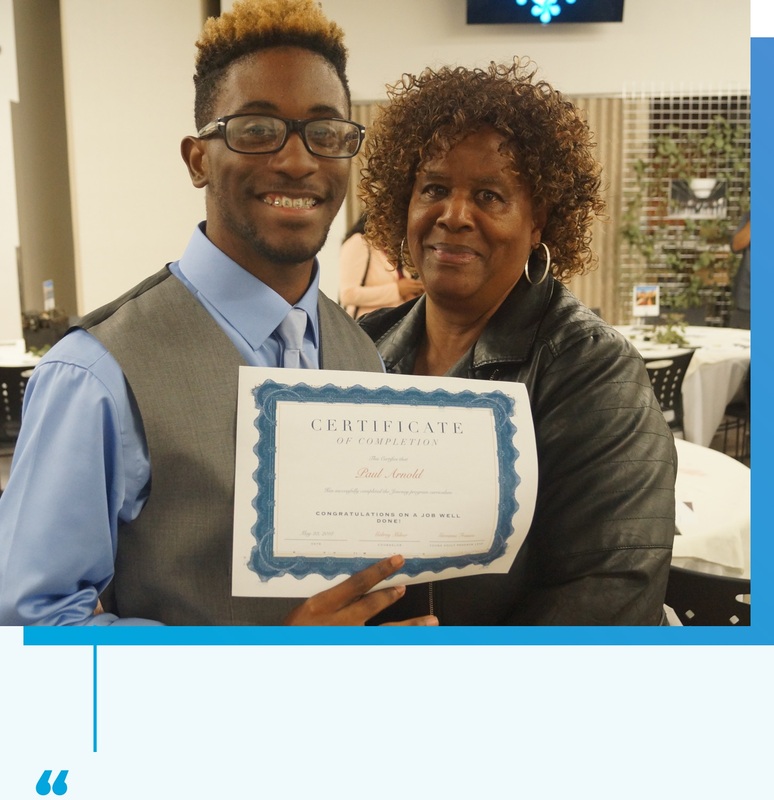 APCH counteracts those odds by providing more than 1,000 young people ages eight to mid-twenties and their families with the safety, support, and the opportunities they need to thrive. More than 100 college students receive financial support and counseling from APCH each year, while hundreds of young people and their families are on the constant waiting list to receive much-needed access to our programs and services. Supporting our surrounding community is critical to enhancing our members’ chances of success and improving the quality of life for thousands more. Each year, APCH distributes over $1.25 million of food, clothing, household items, and other goods into the neighborhood. 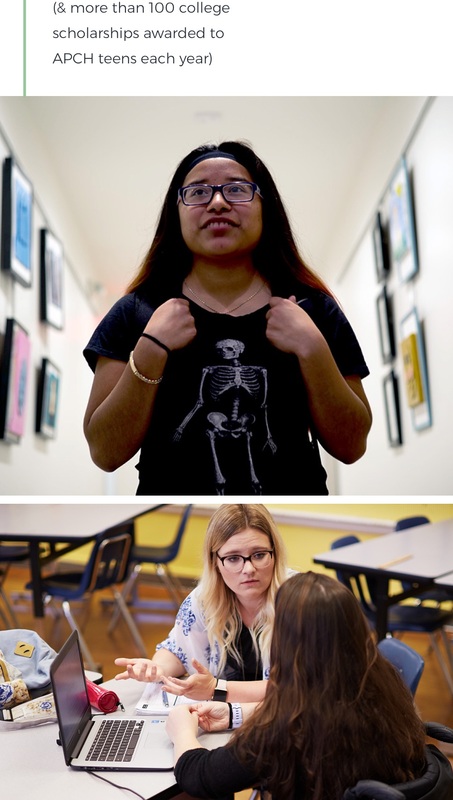 The Bridge, our teen and young adult center that opened in 2017, also serves as a community gathering spot for cultural events and to hold town hall meetings, community forums, election debates, and as a polling place. 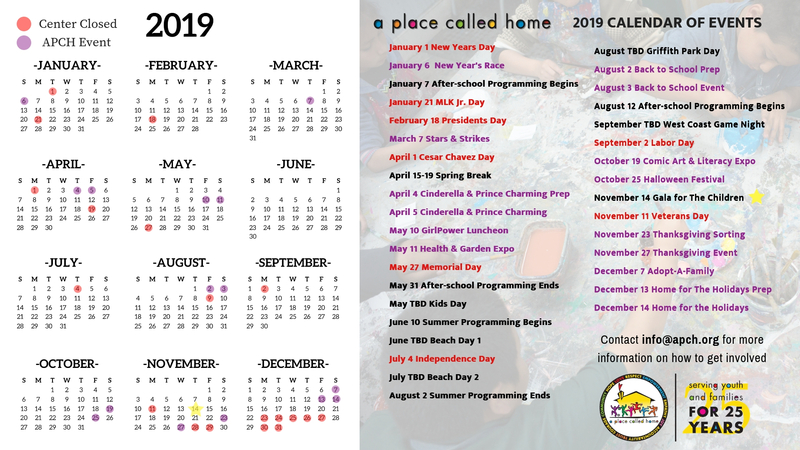 A Place Called Home provides a safe, nurturing environment to hundreds of children ages 8-13 on a daily basis, offering them programs in arts, athletics, education, and wellness. APCH gives these students a safe, constructive place to spend their after-school, weekend and summer hours to complete homework with assistance and tutoring, participate in high quality classes they may not otherwise have access to (art, dance, theater, music, sports, and more), and build fundamental life skills through mentorship programs, social enterprise, and civic engagement. Additionally, APCH supports healthy living through its three community gardens, bustling kitchen and daily meal service, distribution events and onsite annual health clinics. A Place Called Home recognizes the specific challenges our members face as they mature through their teenage years into adulthood. APCH provides hundreds of teens and young adults positive alternatives and a robust support network they can rely on. 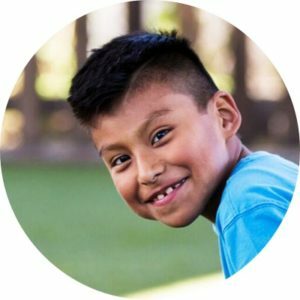 Year-round programming includes academic tutoring, counseling and life skills, vocational training, college preparation and scholarships, sports, art, music, nutrition and community service. 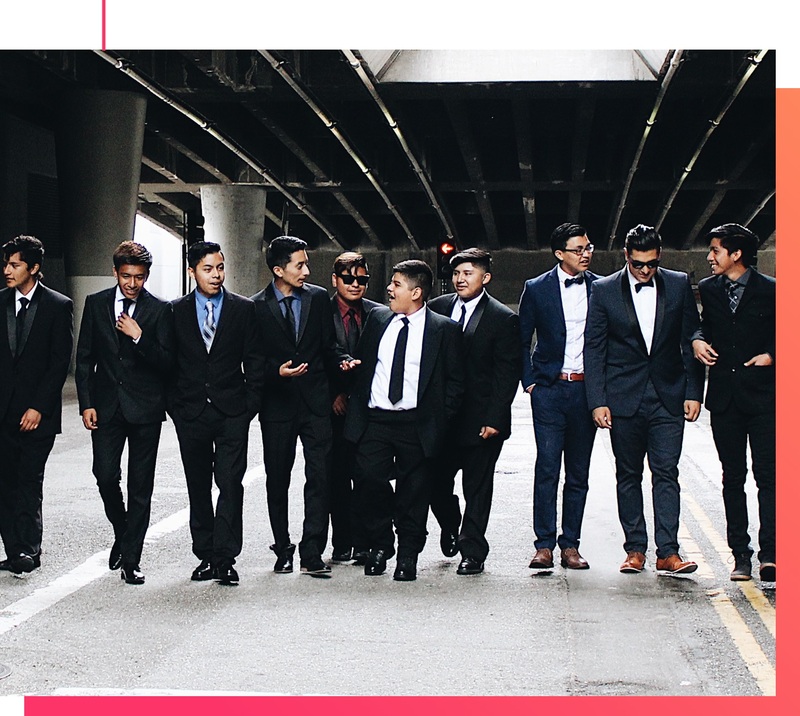 Bridge to the Future is a program devoted to supporting teens in realizing their academic potential, training to compete in the job market, and building relationships with peers in a safe, constructive environment. For young people in the foster system, justice system, and without stable homes, RISE at APCH and Bridge to the Future work together to help those at most risk re-enter school, get counseling and engage as the authors of their own lives and contributing members of their communities. 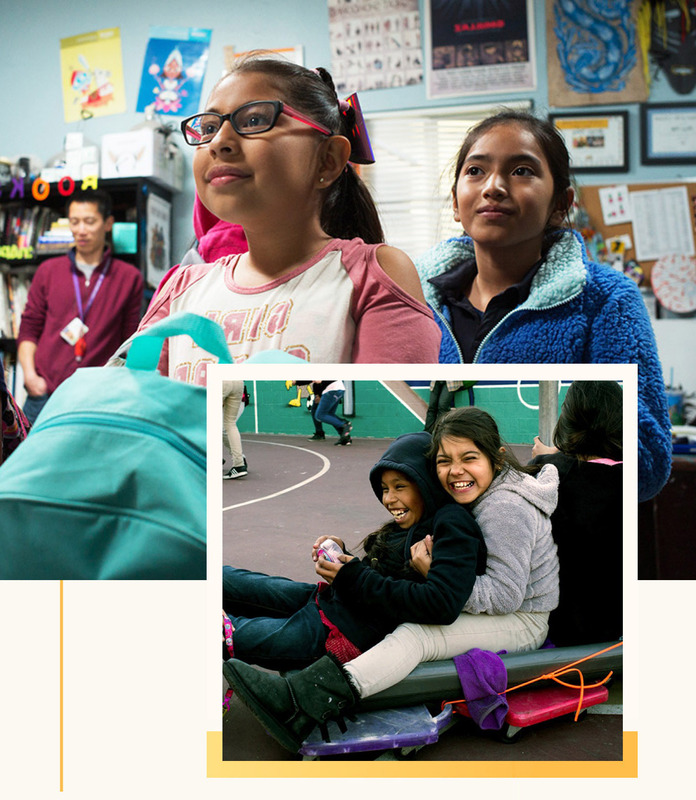 As the first and most important teachers for their children, many parents in South Central struggle against poverty and neighborhood dangers to provide a foundation of social, emotional and physical safety and well-being. A Place Called Home understands that ‘it takes a village’ to raise healthy, self-reliant, productive children – particularly when the odds are stacked against you – and is committed to working in partnership with our members, parents and families. Parent classes are offered to enrich families’ lives, improve their health, and empower them to make positive change. 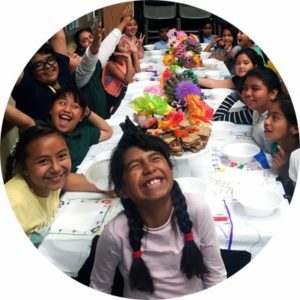 I thought APCH would be a safe place for my kids after school, but it turned out to be so much more. I have a better relationship with my kids and our family is so much stronger. 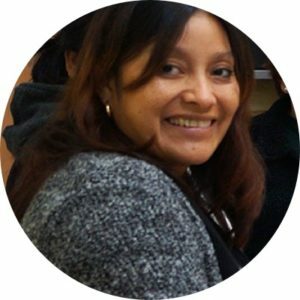 Through education, preparation and opportunity, APCH is building self-sufficiency for youth and families. Beyond our campus and daily programs and services, we have community gardens and we reach thousands through community education, distribution and volunteer events throughout the year. 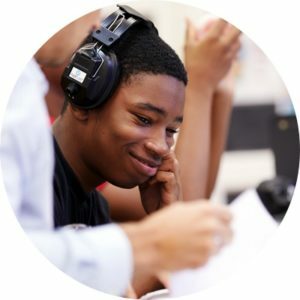 Our Civics & Community Engagement classes and Teen and Parent Leadership opportunities are empowering young people and parents with an understanding of politics and Democracy, and we are educating and registering current and future voters and leaders. We are investing in well-being, equity and bright, sustainable futures for the young people and families we serve. And, they in turn are investing in themselves and in their communities. They are attending meetings and speaking up about issues they care about, and they are taking responsibility for their own actions and intentions, locally and beyond. More and more are traveling for college and traveling the globe with a sense of confidence and purpose. We are listening, educating, empowering, including and volunteering. Error: Error validating access token: Session has expired on Saturday, 30-Mar-19 20:14:28 PDT. The current time is Tuesday, 23-Apr-19 18:55:19 PDT.